I spend a lot of time thinking about motorcycle luggage. To me, luggage holds the allure of the open road, and with the right setup, there is no destination too far. I have done cross-country rides using a set of soft throw-over bags, put cruiser cases on an adventure-tourer, and taken sport-touring treks with nothing more than a duffel bag thrown over a pillion seat. Some settle for nothing less than a color-matched set of hard panniers and a top box, all keyed to match their bike's ignition. There are multiple ways to carry your stuff. I recently added a Happy Trails luggage rack to my 2005 Triumph Bonneville T-100, which got me thinking back to the first set of Tour Master bags I bought 10 years ago and how little I knew going into it. 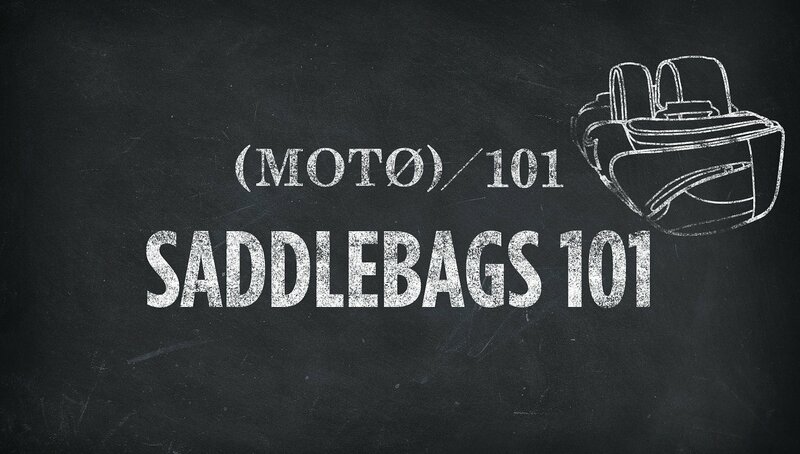 Whether you're a new rider looking to take your first trip or you're a seasoned veteran looking to get into a different style of riding with a new bike, the goal of this article is to help you sort through the saddlebag and side case options for those of us who don't own motorcycles that came straight from the factory with all the luggage we need. The Happy Trails SU rack that I installed on my Bonneville T-100 allows me to securely mount dry bags without worry of them interfering with the shocks or the rear wheel and chain. Photo by RevZilla. Before we begin, check out your bike's GVWR, or Gross Vehicle Weight Rating, to make sure it can handle the added weight of luggage. The GVWR designates the total carrying weight of the vehicle. If you are doing the math, you would take the GVWR less the wet weight of the vehicle, less the rider (and passenger) weight, less all of the weight of the gear to see if your bike can handle the additional load. I am not saying I have never overloaded one of my personal bikes, but then again I am a risk taker, I ride motorcycles. If your ride isn't designed to handle the load, the additional weight can cause the sub-frame to crack, putting a damper on your trek across Siberia. In some cases you can gain additional support with a bolt-on application that requires no major modification. In a conversation I had with Lemmy about his Honda XR650L, he pointed out that SW-Motech actually makes Sub-Frame Support Arms that can be bolted on to improve the integrity of the sub-frame. The biggest takeaway is to make sure your bike is tested, tried, and true prior to setting out into the sunset. Before we dive into the different types of luggage available for your ride, we need to discuss mounting systems. While there are a ton of different brands and options out there, choosing the right mounting system is going to depend largely on your bike. Depending on the style of motorcycle you have, you will have quite a few mount systems to choose from. A support bracket secured to the fender strut is probably one of the simplest mounting systems available and is usually found on cruisers. These are typically used in conjunction with throw-over saddlebags. Available in different sizes, as well as bike-specific options, these support brackets are designed to keep the saddlebags from rubbing against the tire or interfering with the rear shocks on the motorcycle. The step up from support brackets and soft luggage is a rack system that allows you to secure hard luggage to to your ride. This option requires some research to find the right bracket for your bike or, in some cases, manipulating a universal bracket to fit. Save yourself some time by checking out some forums to see what brackets others have used in the past for your bike and capitalize on the knowledge of others. This rack from Givi is made for a specific model of motorcycle and bolts on solidly. The cases pop off quickly with a key, but the rack stays put. Photo by Lance Oliver. Especially if you have an adventure-touring or sport-touring bike, you may find that a variety of rack systems are available. Some accommodate panniers, some a top box, and some allow all three. Some racks are made to be permanently bolted to the bike, while others are easily removable. The latter are made for riders who want to use the luggage only occasionally and return the motorcycle to its original appearance when not on the road. For my Bonneville, I decided on a Happy Trails SU rack, as it’s so beefy it practically doubles as rear crash bars in off-road riding situations. Another added benefit to this system was that it allowed me to incorporate an "Inner Utility Carrier System" which is a separate plate enabling me to mount a dry bag with tools, tubes, and a tire repair kit that stay with the rack even if the bags are removed. The Givi Trekker Outback cases require a completely different rack than the standard Givi Trekkers. Make sure to get the right rack for the luggage you want to add. Photo by RevZilla. Keep in mind, if you have your heart set on a particular piece of hard luggage you want to use, most likely you will have to choose the proprietary rack from the same manufacturer in order to get it to mount correctly. For example, if you want to use the Givi Trekker Outback Cases on your Tiger 800XC, you need to use Givi’s PL CAM racks. The regular Givi PL and PLR Monokey racks won’t work with the Trekker Outback panniers. However, there are exceptions. One example would be the SW-Motech TraX EVO Alu-Box panniers. SW-Motech has conversion mounts that allow you to mount their aluminum panniers to existing racks from Givi and OEMs. Another example would be some of the new types of semi-rigid and soft bags that operate as universal options that can be mounted to virtually any existing rack. These are becoming very popular in the dual-sport world for riders looking to add additional storage without adding the weight of traditional luggage. If you have a doubt about whether a specific rack and piece of luggage will work together, you can always call a Gear Geek. Until recently, riders had two main choices for luggage: hard or soft, each with advantages and disadvantages. Let's look at the pros and cons of these two main categories. If you are looking to add storage without spending a lot of time and money to do so, traditional throw-over saddlebags are for you. While I am partial to Firstgear, Tour Master, and Tour Master’s sportier cousin, Cortech, there are dozens of options available with multiple sizes and price points to choose from. 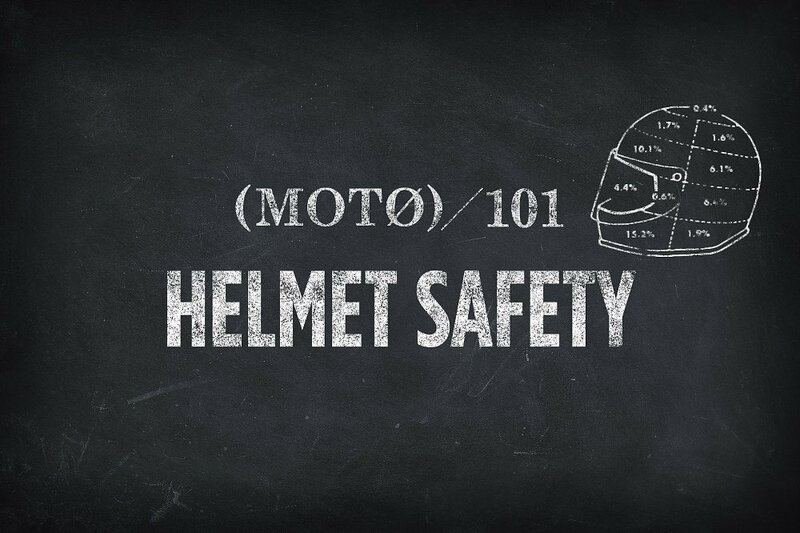 It's easy to add a lot of carrying capacity to your motorcycle for well under $200. In addition to a low price and simplicity, soft luggage has other benefits. It usually integrates nicely on a cruiser with some support brackets and on some sport bikes, standards and adventure-tourers, you may not need any mounting hardware at all. Almost all of them come with universal mounting straps and can be installed in minutes. They also add less weight than hard plastic cases or aluminum panniers. On the flip side, soft luggage is not as secure as hard luggage and will likely not be as weatherproof. As with anything, each system has different tradeoffs. Soft luggage provides easy storage at a affordable price point. Photo by Ryan Schultz. In recent years, we have seen some innovations with new dry bag systems and semi-rigid luggage hitting the market as a step up from traditional soft luggage. Brands such as AltRider, Kriega, Wolfman, and SW-Motech are developing innovative mounting systems that allow you to mount dry bags to existing luggage racks. Some systems are quite basic, like the Wolfman Expedition Bags I added to my Bonneville. Others, like the AltRider Hemisphere Soft Panniers, are actually comprised of five different dry bags in a unique harnessing system. While I have seen guys on cruisers starting to adapt these bags to their rides, these systems have become extremely popular with the ADV crowd, as they allow riders to add massive amounts of storage without adding a lot of weight. 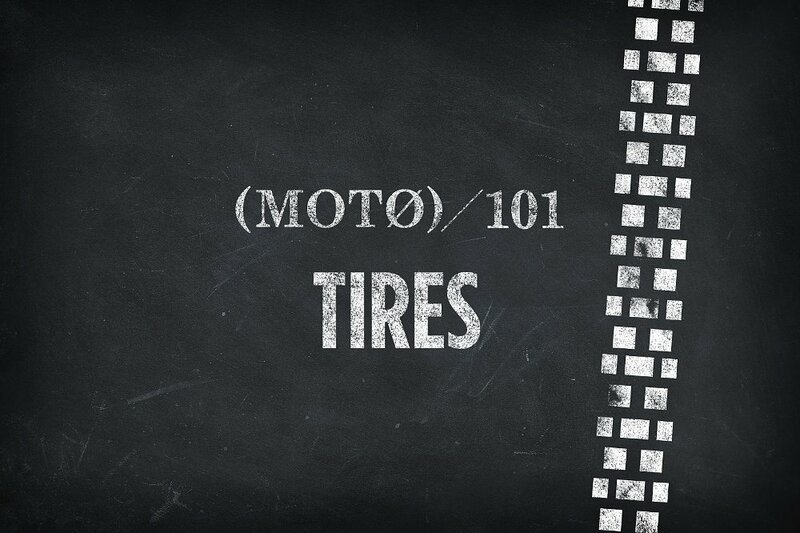 This is especially beneficial when riding off-road, where every pound counts. Though still susceptible to theft, these bags are usually impervious to the weather. If you want to be able to lock up your stuff, or attach and remove your luggage with a twist of a key, hard luggage is the way to go. The actual amount of security locking hard luggage provides depends on the materials and construction, but it's better than a zipper on soft, throw-over saddlebags. One question to ask is whether you want panniers or a top box. Panniers offer the advantage of keeping the weight lower, which helps with handling, while a top box is usually the simplest solution for adding locking storage. Also, a single top box doesn't make the bike wider, which is an issue if you are lane-splitting. The simplest way to add locking storage is a top box. It keeps the bike narrow, unlike adding panniers, but it also places weight higher. Photo by Lance Oliver. 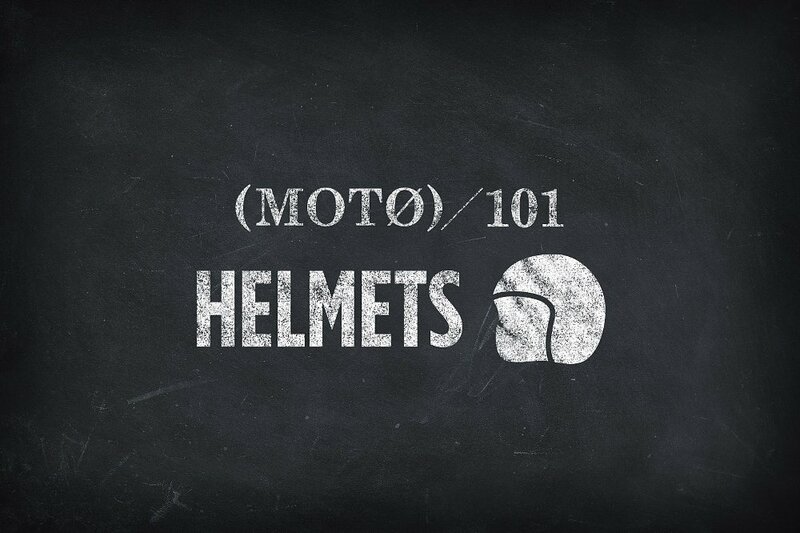 Panniers and top boxes themselves are usually made of plastic, fiberglass, or aluminum. Plastic and fiberglass cases come in a variety of shapes, sizes, and price points. Typically, fiberglass is going to be a bit more expensive due to the overall manufacturing costs. Fiberglass will also be more rigid than most ABS plastics, allowing the cases to maintain their shape better and be more resistant to extreme temperatures. Plastics, on the other hand, are usually a cost-effective option and have a tendency to flex or bend upon impact, not shatter or splinter. Advancements have made plastic the most common material used by manufacturers. Givi is probably the name most synonymous with plastic hard luggage, but sifting through their catalog can often be quite confusing. I recommend starting with the correct rack for your bike, once you’ve found a rack that will work with your bike, take a look at the different cases available for that rack. This is not to say you can't modify certain universal racks to accomplish the task at hand. On a recent Triumph Thunderbird project, Lemmy modified a universal mounting rack to fit Hardstreet cases. With a bit of sweat and know-how, he was able to save a few dollars and end up with a great-looking and functional final project. Keep in mind that you don't always need the most expensive cases to tackle your intended purpose. These Hardstreet Slimbag saddlebags are a step up over soft luggage as they can be quickly detached from the bike and provide the added security of a locking mechanism. Photo by Andy Toback. For example, I recently installed a set of Givi E22N Cruiser Sidecases on our company BMW F 800 GS. These are inexpensive, lightweight cases, which offer lockable storage without a ton of weight and bulk. Despite being branded “Cruiser Cases,” they actually work quite well on the Beemer as ADV luggage. While not as tough as full-on aluminum cases, modern plastics can often take quite a beating. While the E22N cases are designated as "Cruiser Cases" in Givi's lineup, I find they work excellently as ADV cases. Photo by RevZilla. Last, but not least, aluminum panniers have become extremely popular with long-haul riders looking for luggage that can handle whatever obstacles the road might throw their way. These are going to be your most expensive option, as aluminum cases coupled with a rack system can easily surpass the thousand-dollar mark. The benefit, however, is that they are virtually indestructible. Get a dent in them? Simply hammer it out. Crack them in a crash? Weld them back together (assuming you can find a craftsman versed in welding aluminum). They are usually available in a variety of sizes, offering the ability to accommodate single-sided exhausts (bigger box on the side without the exhaust, smaller box on the side with the exhaust) while balancing overall weight. They also provide a preferred spot for riders to plaster stickers of their favorite coffee shop or an "I Rode the Dragon" sticker. As mentioned earlier, remember that almost all hard luggage will require a specific rack system designed to fit universal cases to a specific model of bike. There is not a right or a wrong answer for what luggage will work best for you and your ride. It really comes down to your budget, the type of bike you ride, the style of riding you pursue, and what functionality you find to be most valuable. The right set of luggage will have you lusting for the open road, confident that you're prepared for the adventures that lie before you.